Wireless apple router connected to multiple ethernet cords inside a freelancers home office. 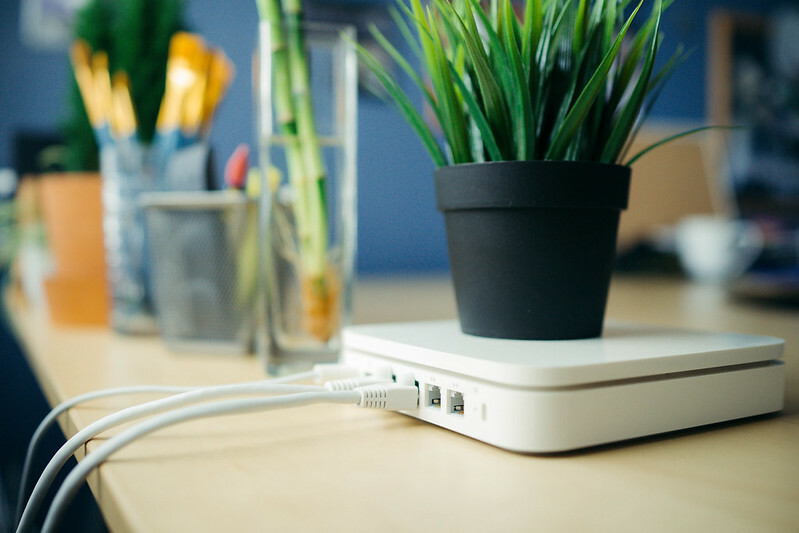 An Ikea desk plant decoration is standing on top of the wireless router. Blurred background with office essentials like pens, bamboo plant, and paint brushes are placed on the table.